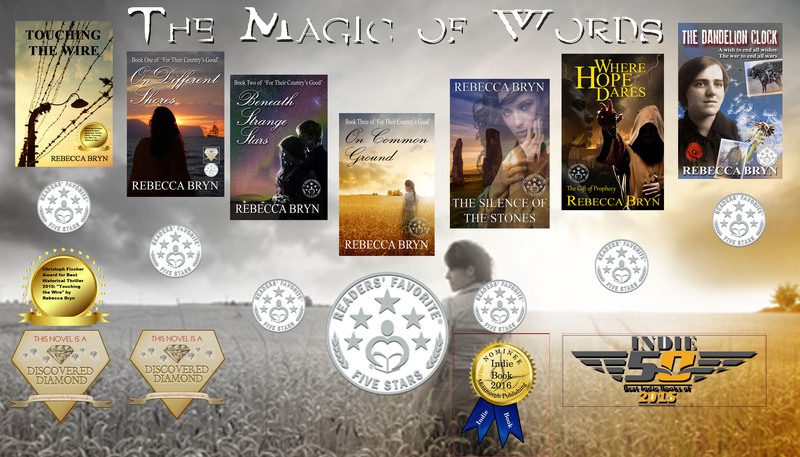 Rebecca Bryn lives in West Wales with her husband and rescue dog, where she paints the stunning coastal scenery in watercolour and writes mystery, historical, and dystopian thrillers with a twist. Rebecca says ‘I didn’t set out to be a writer, but once drawn into the tempting and evocative theatre of fiction, I was hooked. I suppose the control freak in me ganged up with my artistic and creative temperament and conspired against my head, which was yelling don’t do it. You can’t do this. So that is what I’ve attempted to do. Each tale is different, and yet each has common factors. Each draws on experience, exhaustive research, and in many cases my own family history – that search for lost love, the fear and pain of loss, the hope for redemption and the peace of forgiveness, and the desire to be ‘home’ wherever and whosoever that home may be. I present them for you to love or hate, but I hope you find something of yourself in there: something to cherish, to heal, to forgive, or to better understand. I certainly have.